No more than approximately 100 words setting out the nature of the report.� Please note that this will appear as a �pop up� summary on the website. The variation application also asks for the removal of the following conditions from the Premise Licence. A new Fire Equipment Certificate shall be forwarded to this office prior to or on the date of expiry of the current Certificate on 31 October 2005, and thereafter each year on the anniversary of this date. A new Electrical Certificate shall be forwarded to this office prior to or on the date of expiry of the current Certificate on 1 December 2005, and thereafter each year on the anniversary of this date. A new Emergency Lighting Certificate shall be forwarded to this office prior to or on the date of expiry of the current Certificate on 1 December 2005, and thereafter each year on the anniversary of this date. However a �fire equipment certificate, an electrical certificate and emergency lighting certificate will continue to be obtained and will be continued to be reported by the hall's trustees annually, via the chairman/trustees report given at each Annual General Meeting. All those wards affected by the proposal. The distinction between a resolution or a recommendation to Council should be clear at the time the Committee is considering the item, this is preferable to the current arrangement where this is determined after the meeting.� Trevor Robertson and his staff will advise on this point. Recommendations should be brief and to the point. The Committee is asked to determine the application and decide whether to vary the premises licence. A short explanation of the policy context for the issues contained in the report, a cross-reference to the Corporate Plan or Community Strategy for example would be appropriate.� If new or revised policy this should be clearly stated. The decision should be made with regard to the Secretary of State's Guidance and the Council's Statement of Licensing Policy under the Licensing Act 2003. Where the decision departs from Policy or Guidance the departure must be directed solely at the attainment of the licensing objectives, and that such departure be supported by proper reasons. A summary only please of the implications arising from the recommended action.� This should be agreed in consultation with the accountancy team. Costs associated with processing the application are taken from licensing fee income. These depend on the report.� Authors are expected to consider:� Environmental, Legal, Human Rights, Staffing and Community Safety Issues.� However, summarise only those that are most relevant, keeping this brief.�� The report itself should expand on these issues. HUMAN RIGHTS: In considering this application it is appropriate to consider the rights of both the applicant and other parties, such as �responsible authorities� and\or �other persons� (objectors). The procedure for determining licences has a prescribed format to ensure fair representation of the relevant facts by all parties. LEGAL: Under the Licensing Act 2003 the Licensing Authority has a duty to exercise licensing control of relevant premises. This should list all relevant background documents which support the report. Application to: Vary a premises licence under the Licensing Act 2003 and disapply the requirement for a DPS. This section should be brief and should summarise the reason for the report and the issue it is addressing . The purpose of this section is to enable all Members to recognise immediately what they are being asked to consider. �or reject all or part of the application. The background section forms an important element of the report.� It should set the scene explaining the circumstances leading up to the report.�� It is here that authors should refer to the policy context for the report (what was previously called �strategic overview�), ensuring that this is consistent with the summary page. Authors need to be aware, however, that it is pertinent and material information that should be included. If there are large amounts of background information that may be of interest but do not materially affect the decision or recommendations, then these should be made available as Background Information or include the most pertinent as appendices to the report. The background section should not dominate the report.� Use sub-paragraph headings highlighting these in italic script where this will help to identify issues and make the report more readable. 2. The application has been correctly advertised in the local press and a notice displayed on the premises for the required period. 3. There were no representations received from responsible authorities. 4. 17 responses were received from other persons 9 against and 8 in support. �� There appear to be concerns that the requested hours are excessive, however the variation ������� application does not increase the current hours of operation. The variation application is to ������� add alcohol to the licence and that objectors are of the opinion it will have a detrimental effect. The view is that noise, anti-social behaviour, traffic and parking problems would all increase in ������������ a quiet rural area which would affect the Village Hall�s closest neighbours, the majority of �������� which are elderly. �� There have also been letters of support for the application by residents who believe that the �������� Hall and its current Committee can only improve the facilities there for the benefit of the ���������� village community. 5. The premises has a current licence, Appendix F. The current licence holder is the applicant and there has been an application submitted to disapply the requirement to have a DPS (Appendix C ) as this is a community establishment. 6. The current licence hours are as per the licence attached at appendix F and set out at 3 of the summary above. � Effective and responsible management of premises. � Training and supervision of staff. � Adoption of current best practice guidance (some examples are Safer Clubbing, the ������� National Alcohol Harm Reduction Strategy Toolkit, and other voluntary codes of � practice, including those relating to drinks promotions e.g. The Point of Sale ����������� Promotions published by BBPA). � Acceptance of accredited �proof of age� pass cards or �new type� driving licences with ��������� photographs, passports or an official identity card issued by H M Forces. � Provision of effective CCTV in and around premises. � Employment of Security Industry Authority licensed door staff. (If two or more are ���������� employed there must be at least one male and one female). � Provision of toughened or plastic glasses. � Provision of secure deposit boxes for confiscated items (�sin bins�). 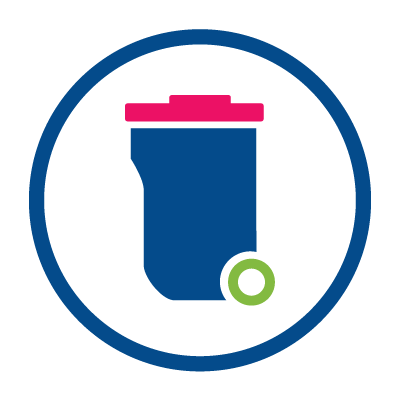 � Provision of litterbins, security measures, e.g. lighting, outside premises. � Membership of a Pub Watch scheme. � The current �Chill Out Hour� operating at the late night venues in the Borough of ��� Maidstone which is the agreement whereby late night venues cease to sell alcohol ���� yet continue to provide music and dancing for a further hour (at a reduced ���� volume and with the heavy bass beat removed) has proved to be a success in ������� reducing late night crime and disorder. � Membership of Maidsafe (Nite Net). The Licensing Authority wishes to ensure the safety of everyone on licensed premises. � Other premises where regulated entertainment within the meaning of the Act is being � provided. � The design and layout of the premises. � The nature of the premises or event. � The nature of the licensable activities being provided. � The provision or removal of temporary structures, such as a stage or furniture. � The number of staff available to supervise customers both ordinarily and in the event of an ��������������� emergency. � The customer profile (e.g. age, disability). � The attendance by customers whose first language is not English. � Availability of suitable and sufficient sanitary accommodation. � The nature and provision of facilities for ventilation. � The use of special effects such as lasers, pyrotechnics, smoke machines, foam machines, etc. that will be put in place to ensure that the capacity of the premises is not exceeded. � Suitable and sufficient risk assessments. � Provision of a sufficient number of people employed or engaged to secure the safety of the ������������� premises and patrons. � Appropriate instruction, training and supervision of those employed or engaged to secure the � safety of the premises and patrons. � Adoption of best practice guidance. � Provision of toughened or plastic non disposable glasses/bottles. � Implementation of crowd management measures. � Regular testing (and certification where appropriate)of procedures, appliances, systems etc. pertinent to safety. recognising the valuable cultural, social and business importance that such premises provide. The Licensing Authority will interpret �public nuisance� in its widest sense, and takes it to include such issues as noise, light, odour, litter and anti-social behaviour, where these matters impact on those living, working or otherwise engaged in normal activity in an area. � The location of the premises and their proximity to residential and other noise sensitive ��� premises, such as hospitals, hospices and places of worship. � The hours of operation, particularly if between 23.00 and 07.00. � The nature of activities to be provided, including whether those activities are of a � temporary or ��������� permanent nature and whether they are to be held inside or outside ���������� premises. � The design and layout of premises and in particular the presence of noise limiting features. � The occupancy capacity of the premises. � The steps the applicant has taken or proposes to take to ensure that staff leave the ��������� premises quietly. � The steps the applicant has taken or proposes to take to prevent disturbance by �� patrons arriving or leaving the premises. � Whether routes to and from the premises, on foot or by car or service or delivery vehicles, pass residential premises within the vicinity of the Premises. � Whether other measures have been taken or are proposed such as the use of CCTV ������ or the employment of registered door supervisors. � The arrangements made or proposed for parking by patrons, and the effect of this ���������� parking on local residents. � The likelihood of any violence, disorder or policing problems arising if a licence were ������� granted. � Whether taxis and private hire vehicles serving the premises are likely to disturb local ����� residents. � The siting of external lighting, including security lighting that is installed inappropriately. � Whether the operation of the premises would result in increased refuse storage or ����������� disposal problems or additional litter in the vicinity of the premises and any ����������� measures or proposed measures to deal with this. � The history of previous nuisance complaints proved against the premises, particularly ����� where ��������� statutory notices have been served on the present licensees. � Appropriate instruction, training and supervision of those employed or engaged to prevent incidents of public nuisance. � Control of operating hours for all or parts (e.g. garden areas) of premises, including ��������� such matters as deliveries. � Adoption of best practice guidance (e.g. Good Practice Guide on the Control of Noise ���� from ��������� Pubs and Clubs, produced by Institute of Acoustics). � Installation of soundproofing, air conditioning, acoustic lobbies and sound limitation ���������� devices. � Management of people, including staff, and traffic (and resulting queues) arriving and ����� leaving premises. � The incorporation of measures for ensuring the safe and swift dispersal of patrons ���������� away from premises and events without causing nuisance or public safety ��� concerns to local residents. � Effective ventilation systems to prevent nuisance from odour. N.B. Where relevant representations are received which the Licensing Sub Committee consider material particular consideration will be given to the impact on residential amenity of proposals for the provision of late night refreshment where these are either located in, or encourage people to move through, residential areas. The protection of children from harm includes the protection of children from moral, psychological and physical harm and, in relation to the exhibition of films, the transmission of programmes by video or DVD.� This includes the protection of children from exposure to strong language, sexual imagery and sexual expletives. In certain circumstances children are more vulnerable and their needs will require special consideration.� This vulnerability includes their susceptibility to suggestion, peer group influences, inappropriate example, the unpredictability of their age and the lack of understanding of danger. �� Provision of a sufficient number of people employed or engaged to secure the �� protection of �� children from harm. � Appropriate instruction, training and supervision of those employed or engaged to ��������� secure the protection of children from harm. � Adoption of best practice guidance (Public Places Charter). � Limitations on the hours when children may be present, in all or parts of the ������� premises. � Limitations or exclusions by age when certain activities are taking place. � Imposition of requirements for children to be accompanied by an adult. � Acceptance of accredited �proof of age� cards, �new type� driving licences with �� photographs, passport, an official identity card issued by HM Forces or by an EU ������� country bearing the photograph and date of birth of bearer. d) to which unsupervised children under 16 will be permitted access. a) There have been convictions for serving alcohol to minors or where there is some�� ����� ����������� �� evidence of under-age drinking. b)� There is a known association with drug taking or dealing. c)� There is a strong element of gambling on the premises. d)� Entertainment of an adult or sexual nature is commonly provided. f)�� Licensable activities are taking place during times when children under 16 may be� ���� ����������� �� expected to be attending compulsory full-time education. or reject all or part of the application. "Without prejudice to any other obligation imposed on it, it shall be the duty of each authority to which this section applies to exercise its various functions with due regard to the likely effect of the exercise of those function on, and the need to do all that it reasonably can prevent, crime and disorder in its area�. The decision should be made with regard to the Secretary of State�s Guidance and the Council�s Statement of Licensing Policy under the Licensing Act 2003.� Where the decision departs from either the Guidance or the policy clear and cogent reasons must be given.� Members should be aware that if such a departure is made the risk of appeal/challenge is increased. Members must ensure that the application is considered on its merits, as well as against the relevant guidance, policy and statutory framework. Use sub-paragraph headings to identify these issues and tables to summarise any financial implications where this will aid understanding. Refer to any implications for current council polices particularly if the report suggests a change in policy or a new approach to an issue. Report authors will be expected to have taken advice from the appropriate people and to agree the wording of implications with those advisors.